Frankenstein is the classic gothic horror novel which has thrilled and engrossed readers for two centuries. Written by Mary Shelley, it is a story which she intended would `curdle the blood and quicken the beatings of the heart.' The tale is a superb blend of science fiction, mystery and thriller. Victor Frankenstein driven by the mad dream of creating his own creature, experiments with alchemy and science to build a monster stitched together from dead remains. Once the creature becomes a living breathing articulate entity, it turns on its maker and the novel darkens into tragedy. The reader is very quickly swept along by the force of the elegant prose, the grotesque, surreal imagery, and the multi-layered themes in the novel. 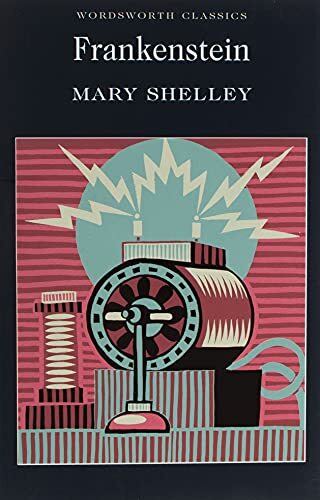 Although first published in 1818, Shelley's masterpiece still maintains a strong grip on the imagination and has been the inspiration for numerous horror movies, television and stage adaptations.